For Chelsea Stowell, an innovation grant may be the push she and her team of bioengineers need to start making prosthetic arteries. Stowell, a Pitt graduate student, works as part of the Phoenix team — the name given to their prosthetic artery project during the third Pitt Innovation Challenge. The team won $100,000 in late November for its proposed design for a man-made prosthetic artery that human tissue could use as scaffolding and gradually replace as it degrades in the body. Each year, the Pitt Innovation Challenge funds teams who come up with ideas and projects to improve health care. Now that the Phoenix team has the money, it is gearing up for its first round of clinical trials, tenatively set for January. Since winning the grant, Stowell and her team planned how to use their prize money to develop their idea into a tangible product. During surgery, doctors could use the graft to help dialysis patients and to treat other conditions in which they need to replace a blood vessel, Stowell said. This year, the Clinical and Translational Science Institute, a program at Pitt that works to integrate existing programs with innovative new clinical and translational science initiatives, granted a total of $375,000 to six projects competing in the Innovation Challenge. The money comes from the National Institutes of Health’s Clinical and Translational Science Award grant, that the NIH awarded to CTSI. The CTSI is part of a growing number of institutions in the nation that receive NIH funding. This year, 46 teams entered the competition, Ryan Dunning, administrative support coordinator for CTSI, said. The projects focused on treatments for a wide range of health problems, including a coating to reduce dental implant inflammation and a cushion for the foot developed from the patient’s own fat to minimize pain from walking. less pain. Stowell and some of her team members have worked on the concept for the last three years and entered the competition for the first time this year. 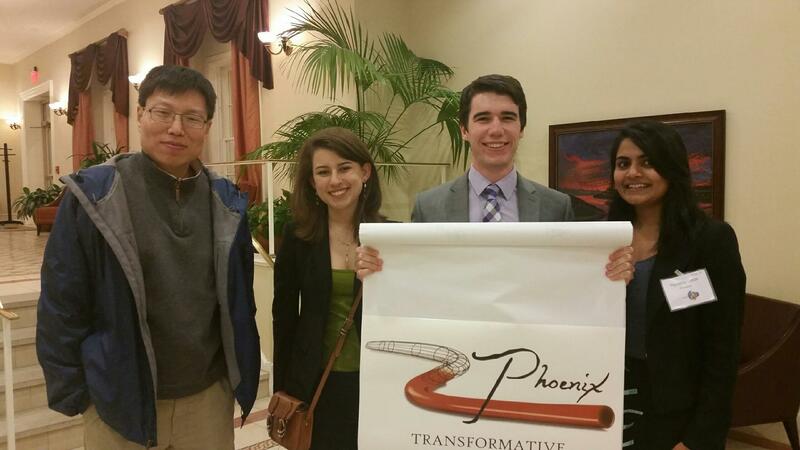 The Phoenix team won one of three first-place, $100,000 prizes. Three other teams finished in the second tier and each won $25,000. The Innovation Challenge this year narrowed 46 teams to the six winning groups of graduate and undergraduate students, industry professionals and Pitt professors. The competition runs from May to November each year. “We’re very excited about working with [the Innovation Institute] through the next steps. Throughout the application process, they were very accommodating. Their advice helped us put together a better plan,” Stowell said. The competition, first held during the spring of 2014, aims to generate innovative solutions to challenging health problems. It is sponsored by Pitt’s Office of the Provost, the CTSI and Pitt’s Innovation Institute, which all came together to create the competition. “We could also adapt the Phoenix to be used in other situations needing blood vessel replacement. Then the number of potential patients gets into the hundreds of thousands in this country alone,” Stowell said. With the $100,000, Phoenix will experiment on pigs in the lab in the coming year to further determine any risks. Soon after, they will hopefully present their findings to insurance companies and make the procedure accessible for patients. A $25,000 winner, Feet for Life, introduced an innovative solution for easing foot pain. “My wife is a pediatrician and she sees at least one person a week come in with this foot pain. So she asks me, ‘Could we just take their own fat to cushion their foot and replace the fat lost?’” said Jeffrey Gusenoff, associate professor of plastic surgery at Pitt and the team’s designated Pitt professor. This solves the problem of fat pad atrophy, which is the breakdown of protective fat under the ball of the foot. “[Fat pad atrophy] is the second leading cause of heel pain behind plantar fasciitis. It affects a lot of people,” Gusenoff said. The Innovation Challenge originally provided Feet for Life with enough funding to conduct the initial testing, and now, with the $25,000 award, the Feet for Life team can recruit patients and perform the operation in early 2016. Like most of the other teams, its goal is to eventually present its findings to insurance companies and make the procedure affordable for everyone. “This issue is not just about cosmetics, it’s about people’s mobility,” Gusenoff said. Through events like the Innovation Challenge, Pitt’s Innovation Institute’s goal is to foster a culture of innovation and entrepreneurship at Pitt among faculty, staff and students. “We aim to increase visibility, expand our partnerships with the [Pitt Innovation Challenge] and increase investigator participation in [the program],” Dunning said. The teams each posted a video with their answers to the question, “How can health be enhanced by bridging factors that impact life stages?” Past challenge topics include solutions for empowering individuals to take control of their own health care and solutions to better individualize health care. Pitt’s Innovation Challenge then provides help with funding for any research required for a project to make its case. Besides Phoenix, the other two $100,000 winners, the NEATCAP team and the Oxi-Dent team, designed a hearing protection device for babies in neonatal intensive care units that blocks noxious noise and promises to reduce infant stress and improve sleep, and developed a coating that solves the problem of dental implant inflammation, respectively. Overall, Dunning said, the Innovation Challenge opens doors for new ideas in health. “Our goal is to generate innovative solutions to challenging health problems,” Dunning said.